By the time that future Georgia founder James Edward Oglethorpe was born in England, the former missions of Guale and Mocama had been abandoned for more than a decade. And by the time the adult Oglethorpe finally arrived to establish the new city of Savannah in 1733, the coastal borderlands between English Carolina and Spanish Florida had been largely uninhabited for almost half a century, except for the short-lived Fort King George (1721-1727) at the mouth of the Altamaha River. Oglethorpe’s new Georgia colony was truly founded in a transformed landscape. In place of the indigenous Guale and Mocama, the remnants of which were at that time living near St. Augustine in Florida, was a small immigrant band of Lower Creeks led by an elderly chief called Tomochichi, originally from the town called Apalachicola. As described by Oglethorpe himself upon his arrival, “A little Indian Nation, the only one within fifty miles, is not only at amity but desire to be subject of the Trustees, to have land given them and to breed their children at our schools. Their chief and his beloved man, who is the second man in the Nation, desire to be instructed in the Christian religion…[they have] concluded a peace with us giving up their right to all this part of the country, and I have marked out the lands which they have reserved to themselves.” Their village, located on a bluff called Yamacraw near the mouth of the Savannah River, was to become ground-zero for Oglethorpe’s Georgia. The Georgia colony found its immediate roots in Parliament member James Oglethorpe’s original idea to establish a new colony to be inhabited by the “worthy poor” of London, including debtors released from prison and other homeless people. In the final charter issued by King George II on June 20, 1732, a board of Trustees was established to carry out this very goal, assigning them all the lands between the Savannah and Altamaha Rivers, and extending westward from the heads of each river, simultaneously creating an effective southern military buffer against Spanish Florida. But when the final list of 35 colonial families was assembled later that year, not one of the 114 colonists had been released from debtor’s prison to make the voyage. Instead, the colony was ultimately to be populated by farmers and tradesmen with their families. The colonists sailed from England that same November on the ship Anne, arriving in Charleston before proceeding south to Port Royal, where they scouted the location for the new colony. Oglethorpe’s colonists arrived at Yamacraw Bluff on February 12, 1733, now celebrated as Georgia Day. There the town of Savannah was laid out on a planned grid that still exists today. Within a year there were more than 400 colonists in the colony, and over the first ten years of the colony’s existence, more than 1800 colonists were shipped to Georgia at the Trustees’ expense, including more than 800 foreigners. The colony grew rapidly around Savannah, and by early 1736 there were some 2000 colonists, including the southernmost town called Darien, established that year by Scottish Highlanders. That same year, however, Oglethorpe aggressively pushed far to the south and deep into Spanish territory, establishing Fort Frederica on the inland side of St. Simons Island (at the site of the old Yamassee mission called San Simón), Fort St. Simons on the southern end of the island (at the old Mocama Guadalquini mission), Fort St. Andrew on the northern end of Cumberland Island (probably near the old Mocama mission of Puturiba), as well as another outpost at the mouth of the St. Johns River (on Fort George Island, site of the old Mocama San Juan del Puerto mission). Although this last fort was quickly abandoned at Spanish insistence, Oglethorpe’s bold move to fortify his southern frontier effectively assured the ultimate survival of the new English colony, even though it pushed well beyond its chartered boundaries and into previously-undisputed Spanish lands. 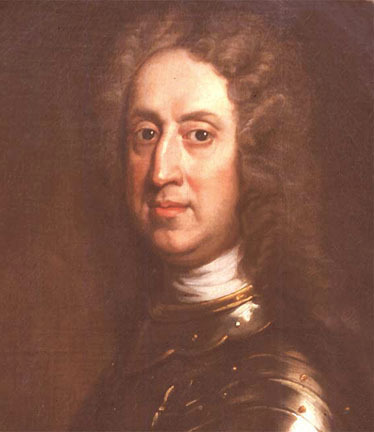 Independently, war was declared in Europe between England and Spain in 1739, and Oglethorpe quickly consolidated his military alliances with the Creeks in the deep interior that same summer. The following year, Oglethorpe led an English army with Creek and Yuchi Indian allies against St. Augustine itself, ultimately failing to take the city. The eventual Spanish reprisal came in 1742 in the form of a fleet of Spanish warships from Florida and Cuba, but despite their capture of Fort St. Simons, their defeat at the legendary Battle of Bloody Marsh on St. Simons Island marked the end of any real Spanish challenge to Oglethorpe’s Georgia. In the aftermath of his victory, Oglethorpe himself was promoted to the rank of General, and returned to his home in England the following year. Spanish Florida would survive only another 21 years before delivering its entire territorial holdings to the British crown in a treaty exchange after the Seven Years War. When the Spaniards finally withdrew to Havana and Vera Cruz in 1763, they took with them the few surviving remnants of Georgia’s indigenous Guale, Mocama, Timucua, and Yamassee populations, who formed part of the group of only 89 surviving mission Indians who voluntarily chose to leave St. Augustine forever. Just as the era of prehistoric chiefdoms and Spanish missions effectively ended, Georgia’s new era of English colonists and tribal confederacies was just getting underway.